Bihar Chief Minister Nitish Kumar claimed that he knew from the “very beginning” that the alliance between his party, the Janata Dal-United, and Lalu Prasad Yadav’s Rashtriya Janata Dal (RJD) will not last long. Speaking on the sidelines of Lok Samvad programme at Patna on Monday, 12 February, the 67-year-old Kumar said that on the day of the alliance – dubbed Mahagathbandhan or Grand Alliance – he had told his close aides that it will not last for more than one or one-and-half years. “I knew it from the very beginning yet I managed to carry on for 20 months,” Nitish said. The Bihar CM was reacting to accusations of “betrayal” levelled by the Congress and the RJD – two of the main partners in the Grand Alliance. 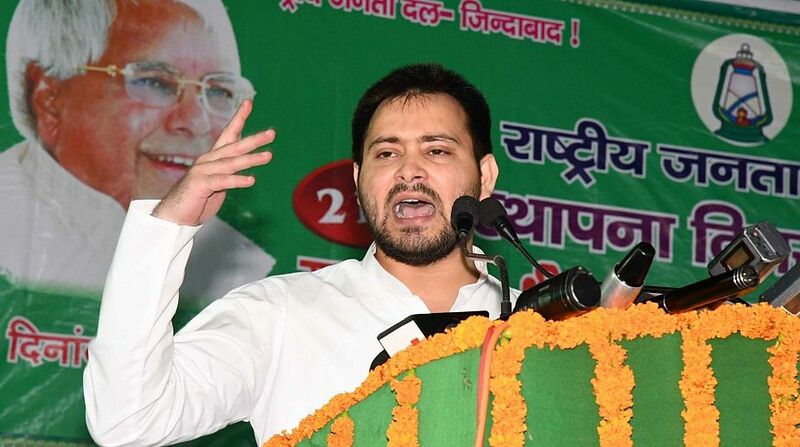 Reacting to Kumar’s remark, RJD leader and former Bihar deputy CM Tejashwi Yadav took to Twitter to launch jibes at the Bihar CM. “This is what I have been saying since the beginning – Tejashwi was just an excuse. Paltu chacha (turncoat uncle) had vicious plans beforehand. The respected 67-year-old should be ashamed that he made a 28-year-old an excuse for his shenanigans. Uncle, you could have parted ways like a man,” he wrote on Monday. He also accused Nitish Kumar’s government of gagging the media from covering RJD rallies. 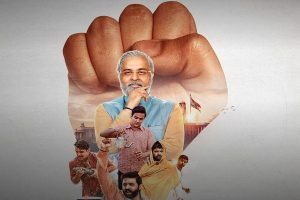 The Grand Alliance was formed shortly after the 2014 Lok Sabha polls which brought the Bharatiya Janata Party (BJP) to power at the Centre. Long time rivals Nitish Kumar and Lalu Prasad Yadav buried the hatchet to become part of the alliance, which won the 2015 Assembly elections in the state. On 26 July 2017, Kumar broke the alliance and resigned from his post. He allied with the BJP, with whom his party was in alliance before the formation of Mahagathbandhan, to return as Chief Minister.